Great cable. Solid copper conductors not the lower quality CCA conductors. For a price which is more than fair I finally bought the cable I needed to renew my LAN. Wiring went as light as a breeze. You just can't beat the price and quality of CAT6. Always my go to for any installation. I have run 10,000 feet with no issues. I was happy to buy 1000ft of this UTP solid cable at a price which is fabulous considering it is a CAT6 quality wire. Had zero problems getting it out of the box. 4.200Satisfied with vendor, boxing and performance. I bought this cable in order to connect phones and it proved more than suitable for the purpose. This Cat6 wire provides great quality of calls besides it was easy to get it out of the box which was a hassle with other cables I have used in the past. Quality of cable is great. Quality of the box isn't so great... it was packed well enough in the outer shipping box but still arrived slightly rounded over. First day on the job site it opened up twice almost causing a rats nest of a disaster. Luckily no kinks when pulling -- but my hopes are slim that it will remain a true statement over a couple of more cabling projects. This wire was perfect for running to all the rooms in my house. It is sturdy but flexible enough to pull through long runs. I did not have any issues with cutting through the protective layer. Overall I would recommend this wire. This arrived quickly and it was what I was expecting. I decided wifi was no longer for me ran cat 6 through my house and now I have Poe cameras set up for my home security. This cable in wound easily and was easy to add separate and crimp the ends onto. I have four computers connected up to this on a regular basis and speed is not compromised. Ace product. 4.000Great cable at a good price, perfect for home install. Well made cable had 0 issues with the 6 runs I did throughout my home. Housing was strong and resiliant held up well to some tight corners and snags coming through the walls. Only real issues I had was with the box being tought to pull at times. Seemed to randomly bunch up and after a quick tug seemed to start feeding like normal. Second the wires seemed to break easily when untwisting the pairs. Had to redo several cuts due to this before I got a better system down. Overall great quality cable for the cost more than enough to do a single story home with 2 drops to each room. Make sure you get cat6 ends. It's good cable. The coloring of the individual wires is vibrant and they aren't difficult to manipulate into the correct order. Well made cable. Pulled from box with the ease with no kinks. Great price. Wired the whole house with tons to spare. Haven't had a fault on any of the wires yet. Just finished pulling 4000 ft of this cable through new construction and didn't have any issues. I would recommend that as you get closer to the end of the spool you will want to unroll the length of cable you need and stretch it out. This will help keep the cable from kinking. This is common sense with almost any ethernet vendor. I would purchase this again. Bought this cable to run through the attic and into the next room and I'm really satisfied with its performance. The speed is what it should be and it is also really easy to pull out of the box which made my installation job a lot easier since it was one of my first times doing an installation project like this myself. Keep in mind that it is unshielded but it worked all the same and it definitely met all my expectations. Since I was using it for telephone wiring I did pay attention to the call quality and it was great so I knew that this was a solid product to have. I would buy this again if I ever have another phone that needs installing. Overall this is a very high quality cable and priced very well. I'm a do it yourselfer. I works great for me I assume it meets specs and it appears to meet or exceed the quality of old CAT5 cable I've run in the past. The price is good ... not fantastic but good. It meets or exceeds my expectations. I feel like I got my money's worth. Good quality cable at a resonable price quick delivery. Excellent cable and it was exactly what I expected. The cable was easy to pull and I had no problems punching down a single jack with it. Great cable not really much more to say about standard Cat6 bulk wire. I used to buy all my networking parts from other dedicated resellers but this time around moved to a new office and had to run a dozen or so drops I figured I should shop around for the best price. Sure enough had my preferred vendors beat by a long shot mostly because other vendors charge so much for shipping. Just as expected. Pulls nicely. 4.200Wired entire house in-wall with plenty to spare! Easy to work with and very pliable this box helped me wire my entire 1000 square foot home in every room with cable to spare. I also got the professional fit and trim tools and tester which made the entire job way easier. Remember: G-gO-b-BoB-b I think of mush mouth from Fat Albert saying it but the Upper case are striped lower are solid starting with striped green ending with solid brown. Great product. Shipping kept the package together although it was heavy. Used about 12000ft of this for a new building install. Some runs as long as 250 to 300ft. So far it's performing well with no issues. Can't beat it for the price! 4.000Great way to purchase cable! I just wish they carried Cat 5e cable for those cost-sensitive applications. I will definitely be back. Did some rewriting in the house and barn and added a whole bunch of cat 6. Price is great compared to what you get at the local stores. There you will likely get inferior cable while here you get the good ones. Good for in wall and in attic and have had no interference as of yet. We purchase this to run Ethernet cable throughout the house. Also Cat6 provides much better quality than the Cat5 cable. This is the only cable that i buy now. I have tried several different brands and this has been the best hands down. Excellent quality cable I went with the solid core in black and am very pleased with the purchase. Would recommend to others and buy again. Bought this because the cheaper stuff was really copper clad aluminum which isn't real CAT6. I was worried that the tight spaces I was pulling this through may break the copper but I didn't have any problems at all even in cases where the cable knotted its self and I pulled so hard I hard stuff crack the cable was fine. 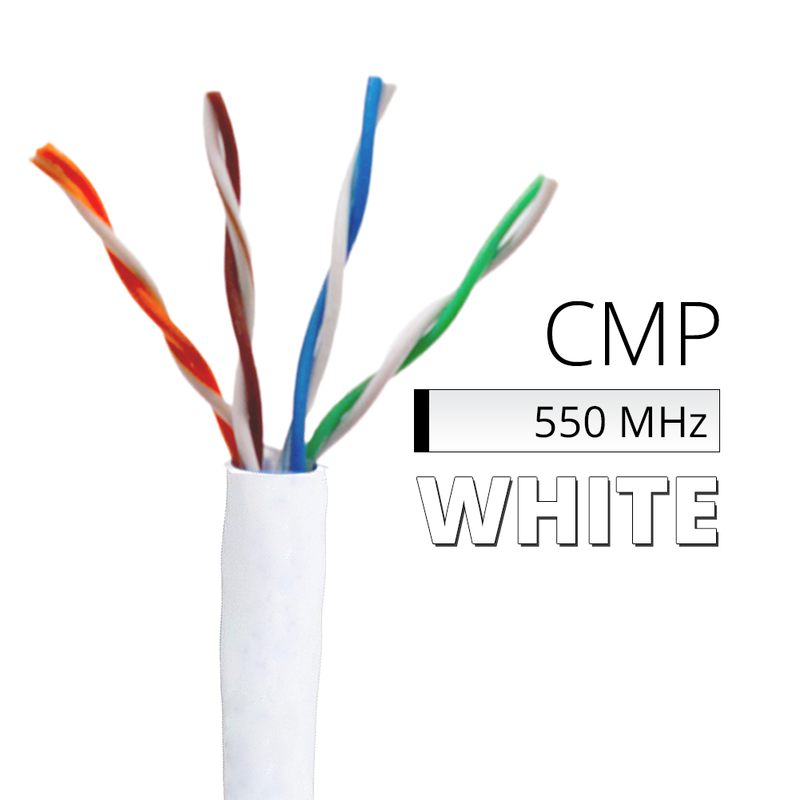 Excellent quality solid core Cat6. Bought this 1000ft spool for a home network project and would highly recommend to anyone. I probably used only about 250 feet of this box but it was easy to work with and comfortable to use in the house. I haven't tried running it through the underground cable run to the garage 75 feet from the house outside but it seems to function just fine in the basement and other cable runs required. If I could use it in outdoor applications it would be going above and beyond the rating of the wiring. 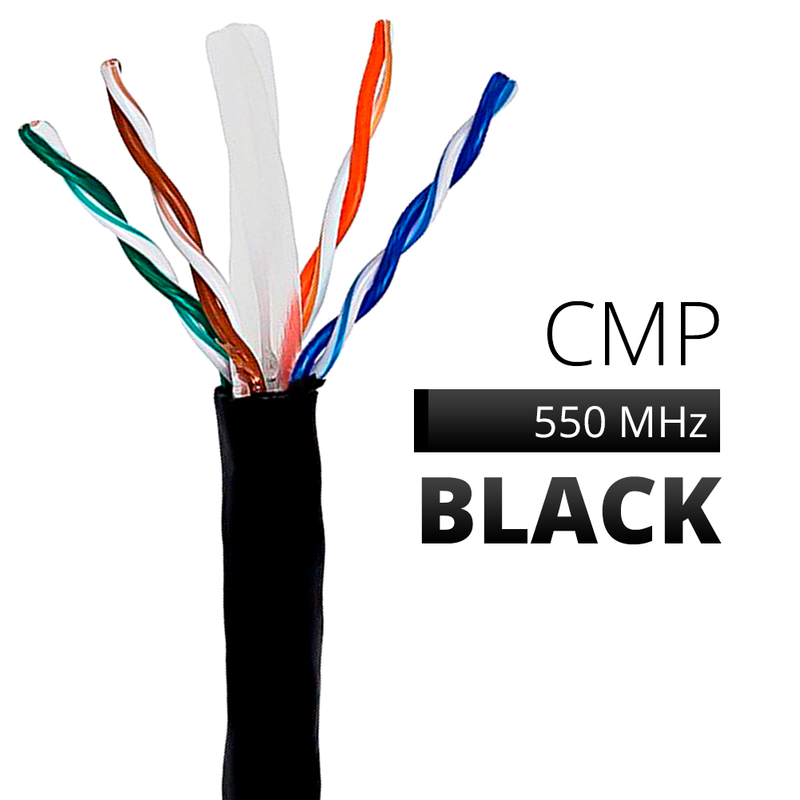 This is high quality cabling solid core CAT6 cable and UL listed. I would recommend this for anyone installing a home network. Cable was good over all tested out fine. Will recommend it for any type of runs. I used it for 20 drops and it worked fine for me. Bought this cable to network my entire home and selected this specific brand based on the reviews. Everything arrived quickly and intact and the cable feels high quality. Haven't had any issues yet and have plenty of cable left. Highly recommended for a lot of cable for a great price. This cable was extremely easy to pull and run wires. Used it for installation of home wired network in my three level house. I never had any snags or problems. Easy to terminate and make clean connections. Did great didn't have a single problem with this cable and the plastic jacket is easy to pull through insulated walls. Used it to wire up home before moving in. Quality cable use to pull lines to central patch panel. Nice to have so many choice of colors. These cables are very high quality and are very thick and come packed very well and i used them to wire my new medical office and my IT person could not believe the price and the quality and we tested his Cat6 line which cost more than double and this line was faster and was better insulated. Very Happy!!!! Solid item. Hardwired my house to create a home network. The item works as described. Good price as well. Well worth spending a little more for Cat6 than going with Cat5e. This spool of bulk cat6 cable arrived quickly and was packaged well. This is a great quality cable at an excellent price. I will be using this for both home networking and whole house audio. Look forward to ordering again from this seller. Worked out great very quick Prime cable is up to all specs and worked well for cat6 install. Haven't seen cable rated at 550MHz at a better price. Update 8/2014: Cable is still going strong haven't used it all up yet. Every cable I have made has tested out great and I have now used this for runs connecting TiVo boxes home security dvr rj45 outlets on 1st and 2nd floor etc. throughout the house and at the core of my network connected UTM to switches NAS with short pig tails etc. etc. and never a failure to get Gbps speeds on auto neg. Always use Leviton cat6 connectors purchased at local home depot with no problems. Just remember to get some bulk packs of connector jackets to match your cable color and you are set. The product shipped quickly and arrived in perfect condition. I haven't used it yet but it appears to be good quality cable. The inner wires and outside jacket appear to be well built and it spools out of the box smoothly. I plan to use it for ethernet and HDMI over ethernet applications so this Cat6 cable should cover both.